In a way to generate some buzz in what hopes to be the eventual release date for his sophomore album, Cadillactica (if you listen to the intro skit on Live From The Underground, he mentions is as the planet he came from before crashing into A&Rville – just a nugget), Big K.R.I.T took to the internet to debut a new song every day through a different site (although all of the songs are available on Soundcloud). Since Kendrick Lamar dropped his verse on Control (yes, it’s still relevant), a lot of rappers (okay, the ones he named, specifically) have come out in full force to put out better music and make the sport of rap ‘fun’ again with healthy competition between peers. 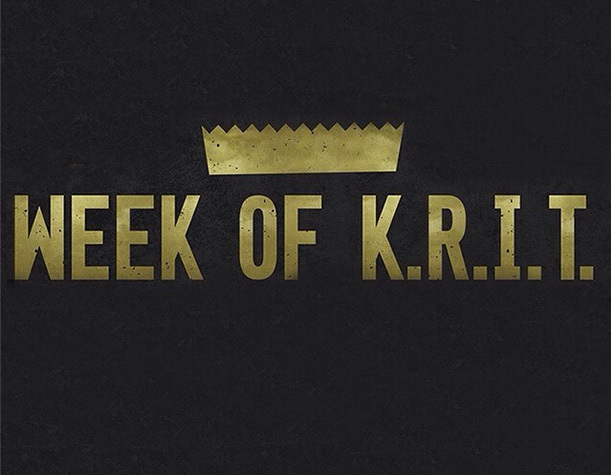 K.R.I.T hasn’t been anything less than really good when it came to his solo efforts going back to Return of 4Eva, or even feature verses like on A$AP Rocky’s 1 Train. Giving him the added ambition to put out even better music is a good thing for all, and of the songs he released, there isn’t one specifically that I haven’t liked. Having features like A$AP Ferg, & Rick Ross as new additions, and return collaborations of Smoke DZA & Big Sant to bring new heaters, K.R.I.T also shows off how he’s improved as a producer, although for his next album, he’ll be working with newer producers to stretch out the level of sound he’ll be able to flow over – it’s all terribly exciting. If you missed all of the releases, never fear, for Soundcloud having the ability to make playlists comes in so handy. Check them out below, and most definitely enjoy.